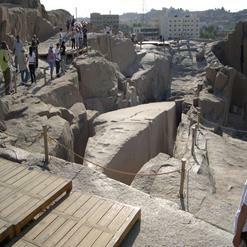 Based on the Nile's West Bank atop one of the highest hills is the Kubbet el-Hawa or the Dome of the winds. It is the small dome shrine of local sheikh and a holy man which gave the hill its local name. Explore the amazing views of Aswan, beautiful Nile and the surronding landscape from the top of the hill.